Drobo is a practical solution for onsite backup to support frequent restore requests due to accidental deletion, primary hard drive failure, or a virus. The truth is that cloud backup is not always practical for very large amounts of data you can store on a Drobo. 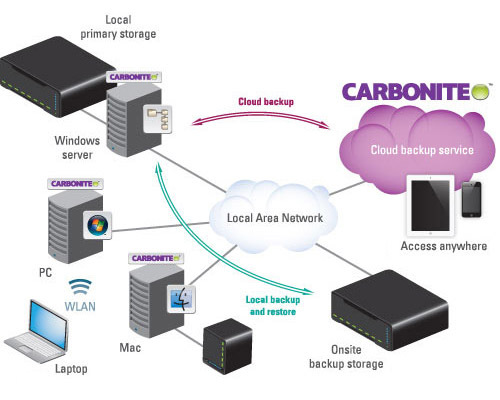 For smaller offices with multiple computers, Carbonite provides cost-effective offerings for server backup to provide additional protection for selected files on a Drobo.